What is UPHA Ribbons Of Service? 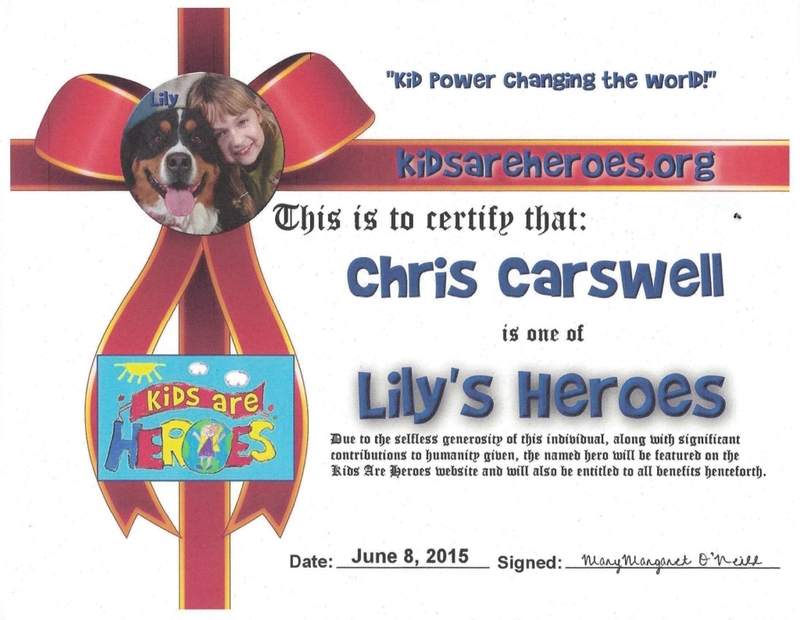 ​Chris Carswell earned "top honors" in his division for community hours served and funds raised for his non-profit. 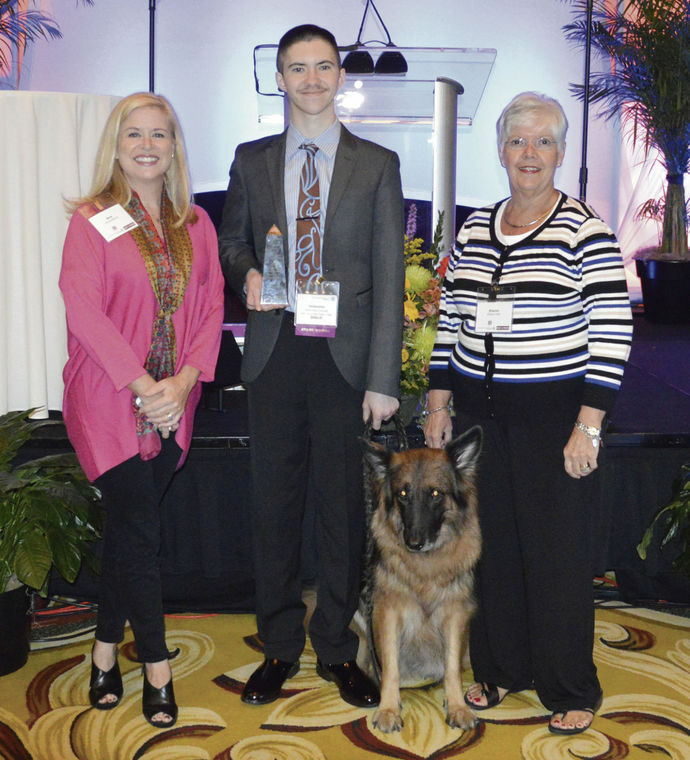 Chris Carswell, second from right, and his service dog Bronx received the Young Leader Award at the National Hospice and Palliative Care Organization Conference in Texas for his volunteer efforts with Hospice of the Golden Isles. Chris was nominated by Amy Broderick, left, community relations representative with hospice, and Sharon Craw, right, volunteer coordinator. ​It seems there’s just about nothing that can stand in the way of Chris Carswell and giving back to the community, not even his own medical condition. It's a national award, given to a very select number of volunteers doing exceptional work. The award originated out of the White House during George H.W. Bush's presidency, when he spoke to the nation about volunteers acting as "points of light" to help solve some of America's most pressing social problems. There are Daily Point of Light award honorees from all 50 states and all walks of life, from movie stars and military veterans to elementary school students and single moms. 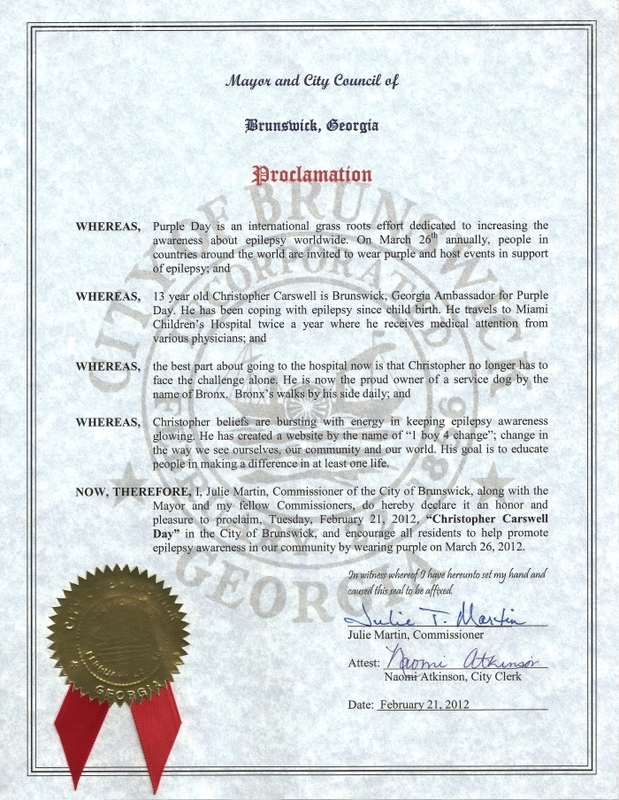 Since 1989, more than 5,000 individuals and groups have been recognized with a Daily Point of Light award. Each award is personalized, meaning the number assigned to your Daily Point of Light award is exclusively yours. Chris Carswell has dedicated much of his young life to supporting law enforcement agencies though his 1Boy4Change foundation. He has worked to raise funds through his foundation to purchase K-9 first aid kits and heat alarms to protect dogs while they are in vehicles. He has also raised funds to support the military and other people struggling with medical issues. Thursday, it was Chris, 16, who was the one receiving support when he was honored by local law enforcement agencies for his active role supporting them. Boy offers hope to fellow "warriors"
Chris Carswell took the bag and gently emptied its contents. 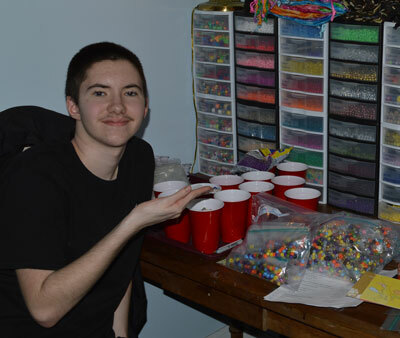 As he did, a seemingly endless strand of glass beads — of every shape, size and color — spilled across the table. All in all, the strand extended to more than 30 feet in length. Going through a medical journey of any kind can be physically taxing, but also emotionally taxing. 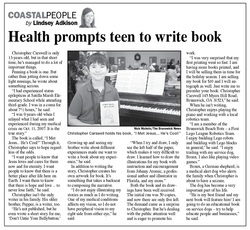 Chris Carswell of Brunswick, GA has spent much of his life in and out of hospitals, undergoing intense treatments and even had three consecutive brain surgeries this past February. But rather than allowing his illness to consume him, Chris has become an agent and catalyst for positive change. Due to the selfless generosity of this individual, along with significant contributions to humanity given, the named hero will be featured on the Kids Are Heroes website and will also be entitled to all benefits henceforth. 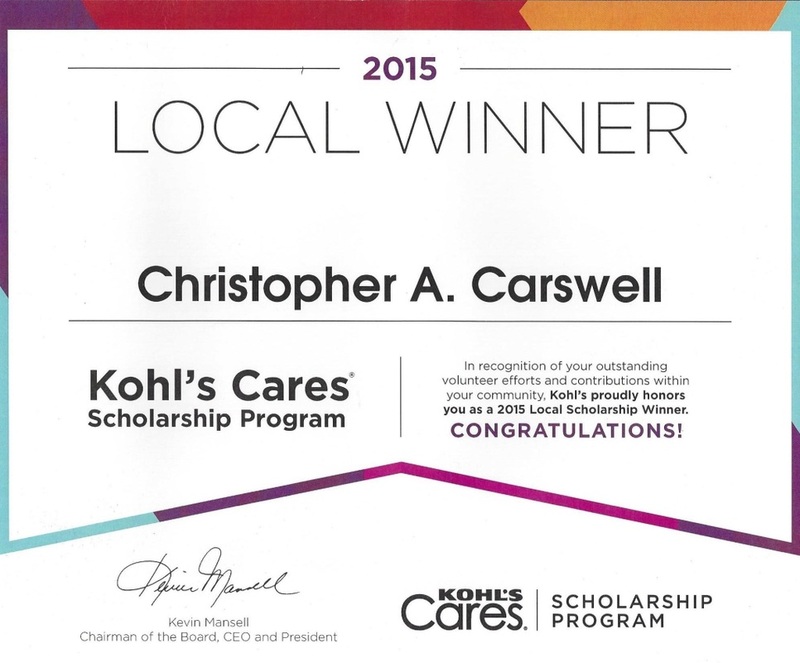 "in recognition of your outstanding volunteer efforts and contributions within your community, Kohl's proudly honors you as a 2015 Local Winner." 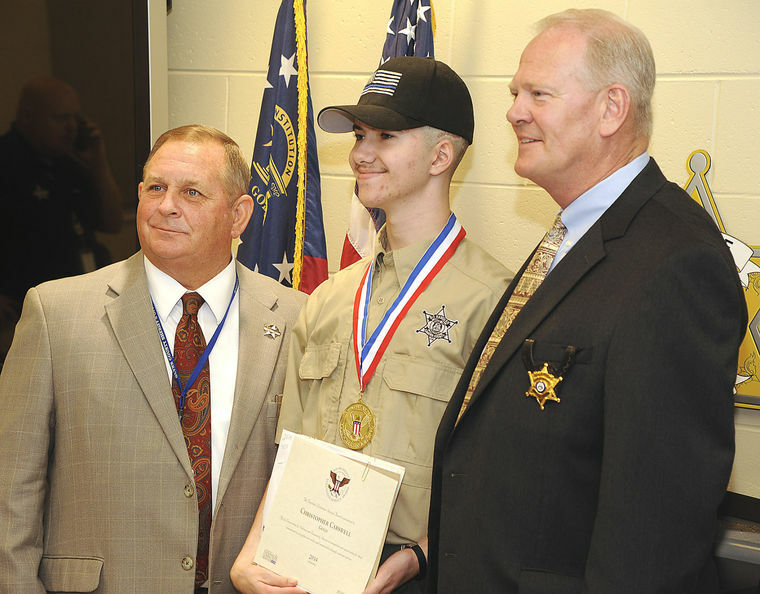 Glynn County Sheriff Neal Jump (left) recognized Chris Carswell, 16, as an honorary deputy. BRUNSWICK | A day before his hospitalization for brain surgery, 16-year-old Chris Carswell took the oath Tuesday as an honorary Glynn County deputy in recognition of his efforts to help save law enforcement dogs and other good works. House of Representatives Hon. 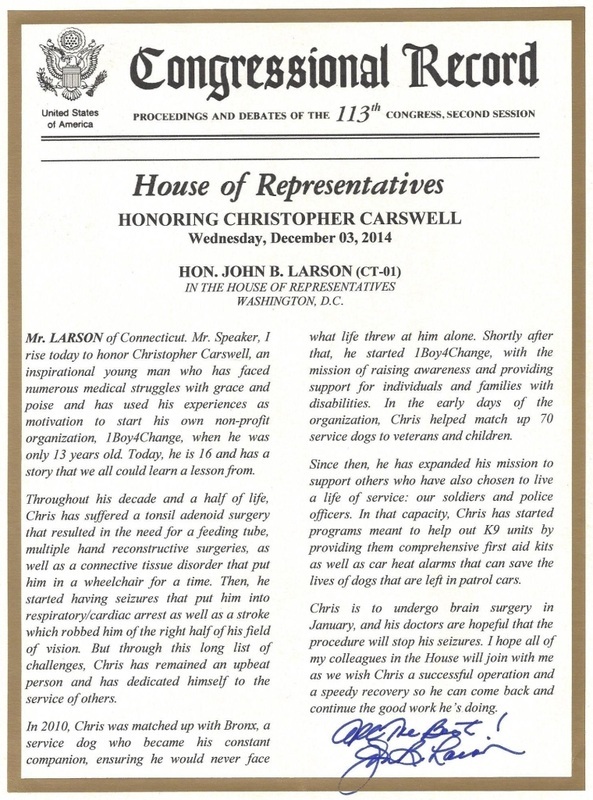 John B. Larson of Connecticut acknowledged Chris and his numerous noteworthy efforts and wished him success and a speedy recovery for the brain surgery that took place in January 2015. CAMDEN COUNTY, Ga. -- With a badge around her neck, Dora the German Shepherd is more than just a dog, she is a K-9 Officer. 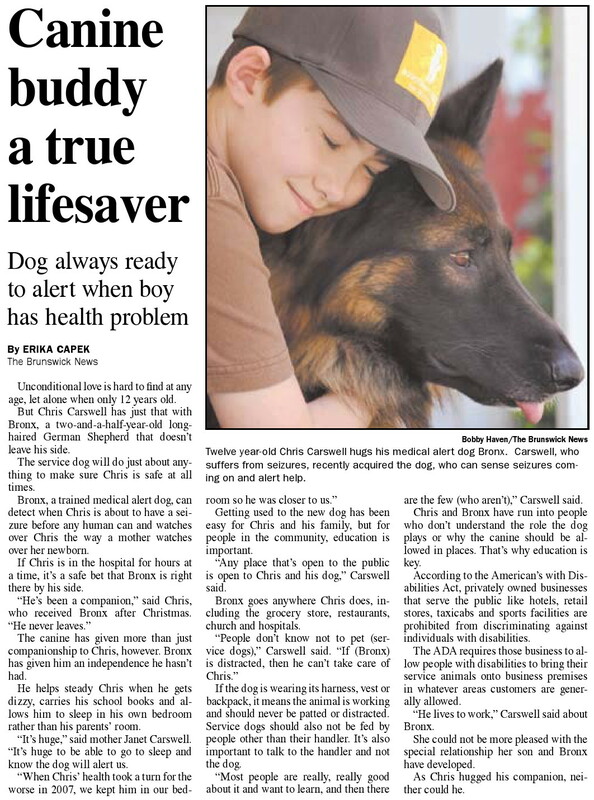 Christopher Carswell, 16, is working to make sure K-9s like Dora stay alive on the job by getting the police dogs their own first aid kits. Chris Carswell is always looking for ways to stay busy so he won't have time to dwell on his own struggles. And he believes one person can make a difference. 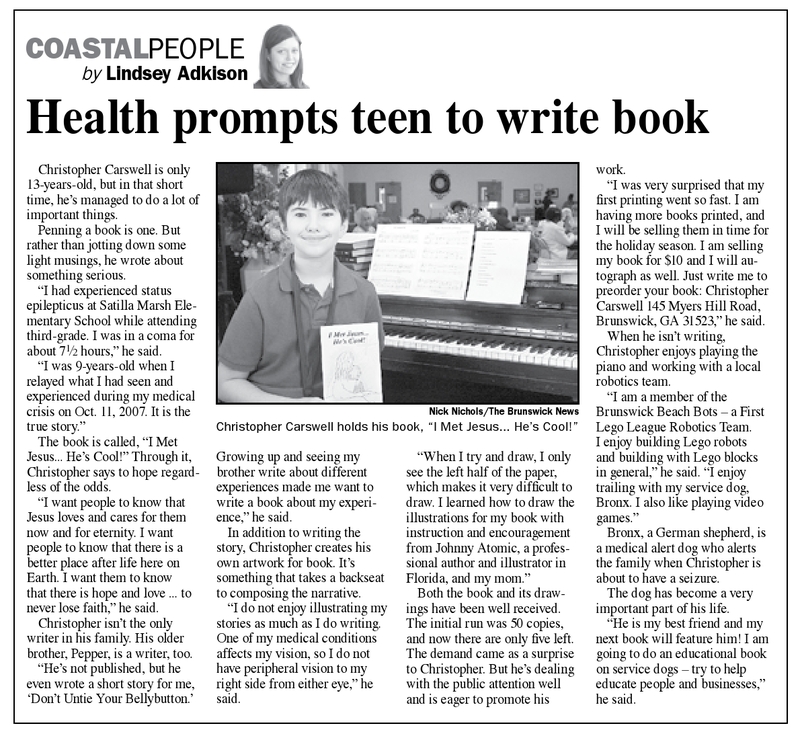 Chris, 15, of Brunswick, has been in and out of hospitals much of his life after complications from what should have been routine tonsil and adenoid surgery. It could have been only God who gave Bronx, a long-haired German Shepherd from a genuinely German line, his sixth sense for finding and fixing human need. Bronx is a therapy dog, trained to alert on his 15-year-old owner, Chris Carswell, when a seizure is imminent. The dog will know why and push him towards a place to sit before his seizure hits. 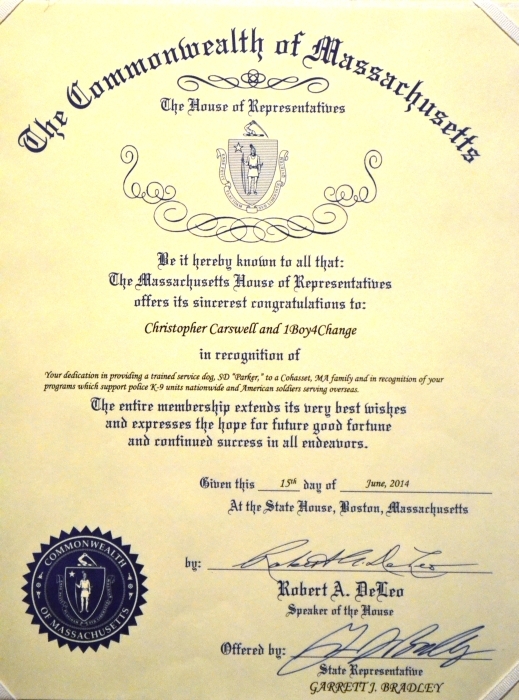 The Massachusetts House Of Representatives formerly recognized Chris and 1Boy4Change for "Your dedication to providing a trained service dogs, SD Parker, to a Cohasset, MA family and in recognition of your programs which support K-9 units nationwide and American soldiers serving overseas." 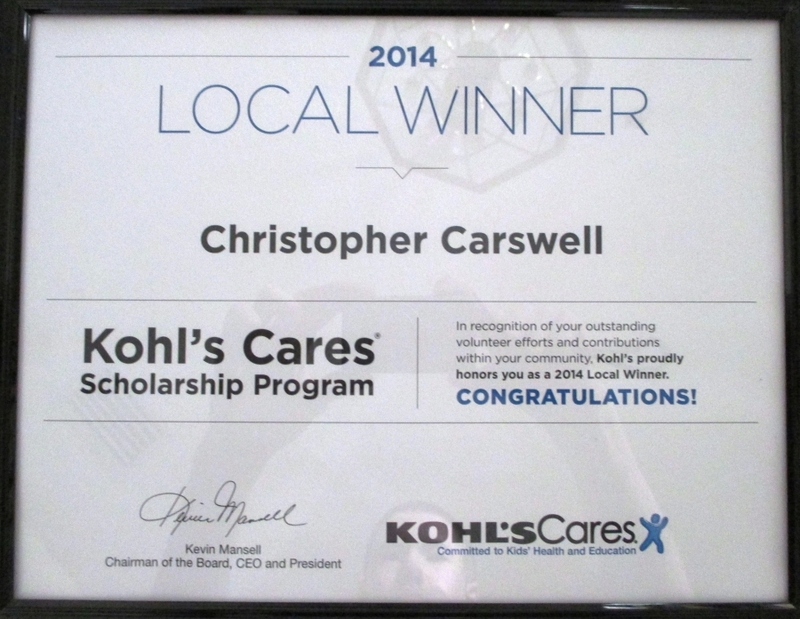 "in recognition of your outstanding volunteer efforts and contributions within your community, Kohl's proudly honors you as a 2014 Local Winner." For the third straight year, we made the Top-Rated Nonprofits List from GreatNonprofits! Chris Carswell receives the American Red Cross Youth Hero Award for 2014 for his volunteering efforts!!! Cohasset — A Cohasset child in need of a service dog is about to have her wish granted — her very own puppy, Parker, is about to start his special training. 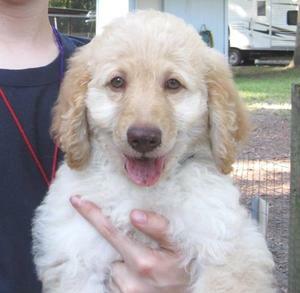 BRUNSWICK | On Oct. 11, 2007, Chris Carswell had a seizure and a few years later a star was born. 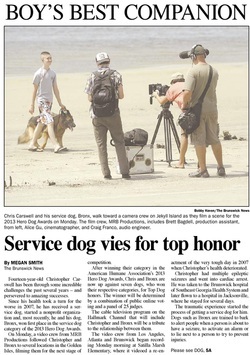 The star is Bronx, a German shepherd service dog trained to detect Chris’s seizures. 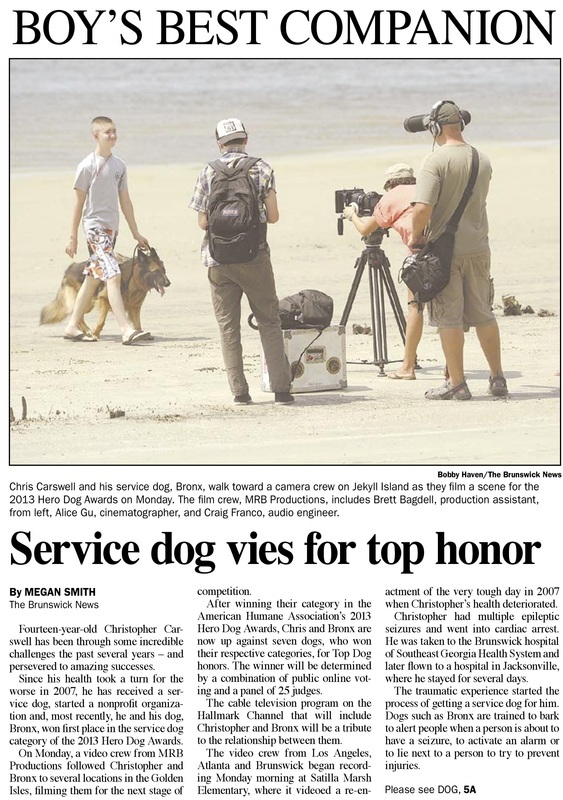 Bronx has won the service dog category of the American Humane Association’s Hero Dog Awards and is in the running for the organization’s Top Dog. A film crew was at Satilla Marsh Elementary Monday to recreate some of the activity when Chris had his first and nearly last seizure. His heart stopped at the school, and Glynn County EMTs brought him back. Once again, thanks to all of your terrific reviews and support, we made the 2013 Top-Rated Nonprofits List from GreatNonprofits! KISSIMMEE, Fla. (WOFL FOX 35 ORLANDO) -- When we show up at the home of 7-year-old Abigaile Szabat and her family, we watch Bronx, a trained seizure alert dog, fast and furiously track down his owner, 14-year-old Chris Carswell. Thanks to all of the amazing reviews we got from all of you, we've won a spot on the 2012 Top-Rated Nonprofits List from GreatNonprofits! READING, Pa. - A young boy who was inspired after learning about Kyle Pagerly's life has been given a unique honor. Cohasset — The police department’s K9 has been a very talked-about commodity in Cohasset since the dog was added to the force several months ago. 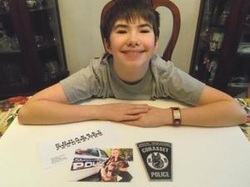 Now, Cohasset’s working dog has brought a smile to the face of one courageous child who lives several states away. The Brunswick, Georgia Mayor and City Commissioners proclaimed March 26 as Purple Day, and February 21 as Christopher Carswell Day in a presentation at the monthly meeting of the Brunswick Glynn County Mayor's Committee on Services for the Disabled, Inc.
Click on the proclamation for more details. Our January 2012 Fighter... Christopher! The KARE Foundation is currently featuring Christopher on their Blog site.